Linking nicely with my earlier review of the reissue of Burnin Red Ivanhoe’s W.W.W. is the latest album from the prolific Danish band Taylor’s Universe, amongst whose number is none other than the Ivanhoe’s veteran sax blower, Karsten Vogel. Robin Taylor was born to English/Danish parents in Copenhagen in 1956, and has been playing guitar since the age of 12. The full story is available on Taylor’s website, and since the early 90s Taylor’s Universe, in its many line ups and as the occasional “Free” configuration, has released a steady stream of albums, all 29 (!) 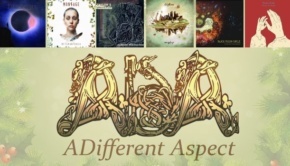 of which are on the Bandcamp page. I must investigate this vast back catalogue at some point, should I ever get the time! This is because I am a late comer to the world of Taylor’s Universe, my interest piqued a few years ago by happening across a hilariously dismissive non-review of an album entitled Family Shot by Robin Taylor’s aforementioned avant side project Taylor’s Free Universe that simply described said album as “Noise, not music”. Knowing the somewhat conservative nature of some of the writers on the review site in question it had the effect of making me search out some music by this man and his merry band. 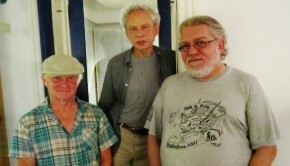 That album was the then current release by Robin’s more structured group Taylor’s Universe, 2013’s Worn Out, which turned out to be a fine piece of work. Since then, there has been the album Evidence, also released in 2013 which I have not heard, and then this album, released earlier this year. From Scratch continues in the tradition of Taylor’s Universe, as far as my brief association can ascertain anyway. 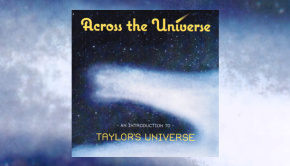 Playing a hybrid music where jazz-fusion meets space-rock and symphonic prog, with a dash of avant chilli sauce now and again to spice things up a tad, Taylor’s Universe remain free of any danger of becoming pigeonholed, which is just as it should be. From Other Meetings’ hints of Hillage guitar and on through the jazz-bolero of Beta X, the trip is one of high technical ability fused to an obvious enjoyment in their craft as Taylor’s Universe explore the vast ocean that fusion offers the willing seafarer. Back to Other Meetings, and some fine acid-drop guitar leads briefly into some kinda funky groove that Herbie Hancock would not be ashamed to own before winding off with a keening synth solo, fading into the sunset. The short section of looped laugh-snigger in Beta X lends the already sci-fi vision a sinister air, as the piece makes stately progress through a ballroom on Mars accompanied by Vogel’s glorious sax blowing. Deconstructing completely, the theme slowly reprises out the other side with synth-treated saxophone, all parps and squiggles. Never cacophonous for the sake of it, Robin’s composition and arrangement is in this instance both economical and exploratory. Good stuff in this Universe, yessir! At over nine minutes Interrail is the longest track on the album. After slowly pulling away from the terminus the tune takes us on a rhythmic charge through station to station accompanied by a repetitive chant. The tune is somewhere between motorik and David Bowie’s Thin White Duke, giving Karsten Vogel plenty of room to writhe about with that beast of a saxophone. Drummer Klaus Thrane has this one nailed, and again this tune disintegrates to spacey but never languid ambience, adrift on a vast featureless plain before the rhythm returns and we’re back on track, chanting in place. After the Sturm und Drang of Interrail, the band show they can play a jazz ballad with the best of them. Again, Karsten takes the lead on the quite lovely Laura’s Lullaby, this time with both clarinet and sax shining gloriously. The album is a triumph of arrangement, with many examples of understated but nonetheless highly skilled trade-offs between the sax and guitar and keyboards, and lots of neat ensemble playing. This is particularly so on Für Louise, which also contains a great but all too brief guitar break, presumably from Claus Bøhling. 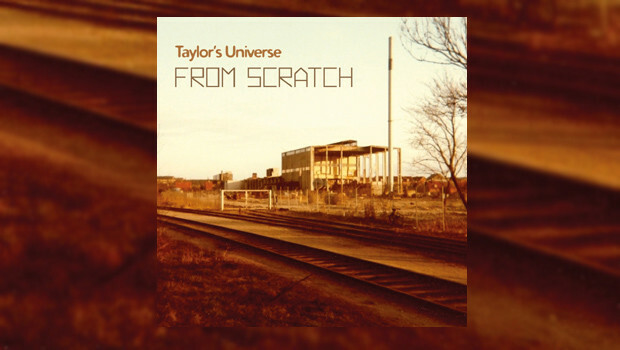 Taylor’s Universe are a great band who produce highly enjoyable music that while it may be fusion of a kind, has a human warmth that can sometimes be hard to find in that all too often arid genre. From Scratch is something of a treat. Robin C. Taylor – Electric and Bass Guitars, Keyboards, Percussion etc.